Achievements of County Durham care leavers have been highlighted during a national awareness week. Durham County Council organised a series of events during National Care Leavers Week to celebrate those who are making a success of their lives within its boundaries. The council offers a range of support for them in terms of helping them find somewhere to live, assisting them in their education and financial aid such as reduced council tax. 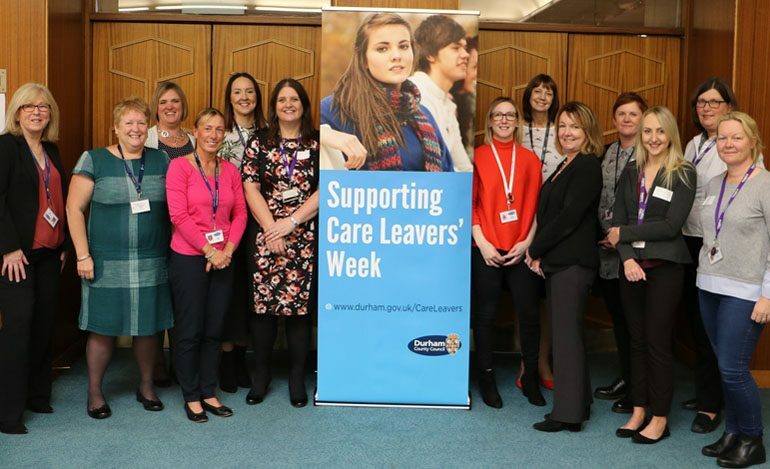 National Care Leavers Week – which ran from 24 to 31 October – aims to not only raise awareness of the needs of care leavers and the challenges they face entering adult life, but also to shine a light on those who are succeeding. The council arranged seven days of activities as part of the week which has been organised by The Care Leavers’ Foundation annually since 2002. The third Exceptional People in Care (EPIC) Awards recognised and celebrated the achievements of children and young people. Nominations were received from social workers, foster carers, teachers and other professionals working with young people. • Education: Rachel Calder, for performing well in her A-Levels despite a troubled home life. She has since gone on to study at Newcastle University. • Volunteer: Connie Jones, for volunteering for a number of years in different organisations despite her personal difficulties. • Investing in Children: Andrew Rochester. This award was chosen by fellow young people from the local authority’s Children in Care Council (CICC) in recognition of Andrew’s increased confidence and support for others. The awards had a ‘beach party’ theme with the guest speaker a care leaver who talked about his journey through the care system. Aside from the awards, County Durham care leavers also enjoyed a game of football against counterparts from Gateshead. The County Durham outfit triumphed 4-3 in the clash organised by Gateshead based national charity Changing Lives and a rematch has already been arranged. An art day was also held at Durham’s Sjovoll Centre. Young people worked with an artist and completed some geometric art work which has been since displayed in the council’s County Hall headquarters. The venue was also scene of a family fun day for looked after children which sought to raise awareness of the CICC and encourage people to join. 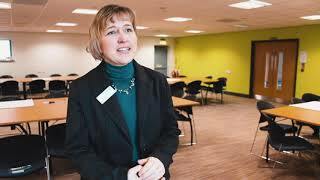 Cllr Olwyn Gunn, Cabinet member for children and young people’s services – who attended the EPIC Awards, said: “We are fully committed to supporting care leavers whether that be through accommodation, education or financially. “It is always great to hear stories of these young people building on the support we give them to make successes of their lives and it was humbling to meet some of them at the awards.